HOORAY! We’re so excited to reveal the brand new covers for our 2016-17 Simplified Planners! We have been working SO hard for almost nine months to make these planners our best ones to date. This past year, we worked tirelessly with our incredible manufacturer, as well as with Mohawk Fine Papers, to fine tune each and every detail of our Simplified Planners. We’re so proud to say that every Simplified Planner is now made with Mohawk Via paper, is even more durable, and features EIGHT different, beautifully designed options to choose from. Our signature daily editions will be available in FOUR cover options: Happy Stripe, Gold Pineapple, Fuchsia Dot, and our NEW Fancy Floral (she’s fancy, but never formal). We’re over the moon about these styles. After years of perfecting, we have finally tweaked our Happy Stripe to perfection. Each and every one of those stripes was chosen with precision and care. 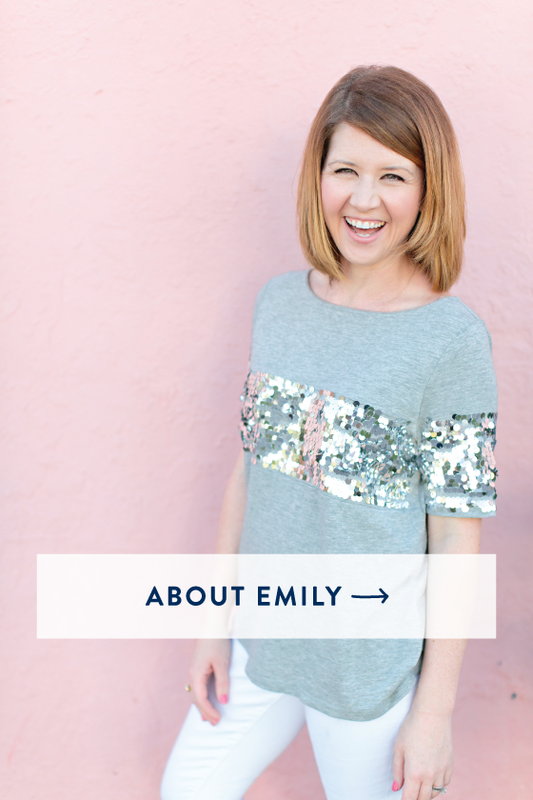 You should have seen all the Pantone swatches on Emily’s desk last summer. All daily editions have navy interiors, incredible paper inside, and strong mylar tabs. 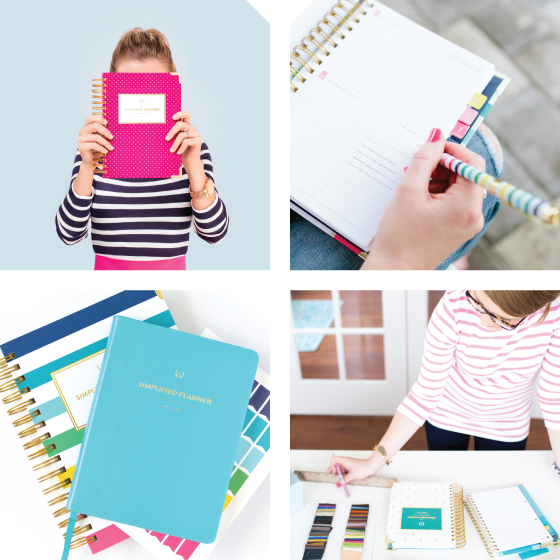 We are particularly excited about our brand new weekly Simplified Planners! You may remember we conducted a survey of our friends, followers, customers, and newsletter subscribers last summer. We took all of your feedback and made our weekly editions our most versatile, portable, purse-ready style yet. All of our weekly planners are now book bound (in a lay-flat style—much like Dapperdesk) with leatherette covers in four gorgeous colors: navy, white, fuchsia, and turquoise. Inside you’ll find a matching ribbon page marker, gold foil details, and a Happy Stripe interior (on all four color options). 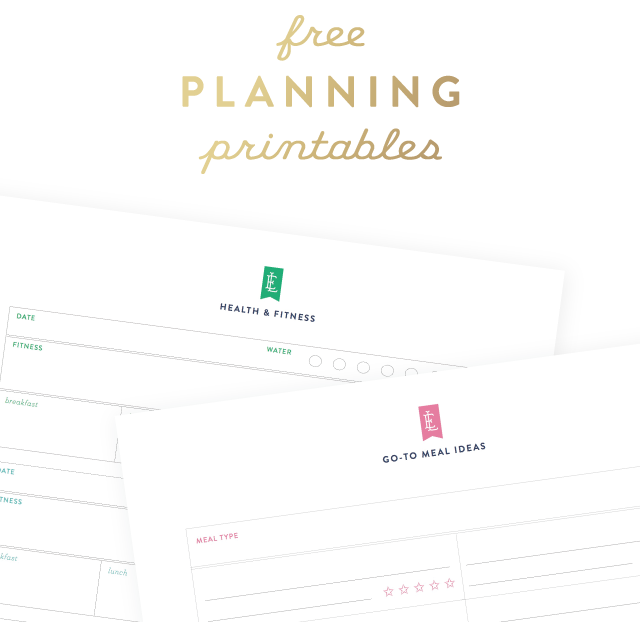 They are also a bit smaller (about an inch shorter on each side) than our daily planners, so they’re easy to throw in your purse when you’re on the go. We will not offer a spiral-bound weekly this year, but all of our daily planners will still have the gold spiral binding that you know and love. Speaking of what you know and love, we are beyond thrilled to formally announce our partnership with Mohawk Paper. Paper is our first love. The paper upon which you plan your most special days and record your most important tasks is very important paper. We searched high and low for the best paper in the world for The Simplified Planner — the perfect thickness, the perfect color, and the most luxurious quality in the world. 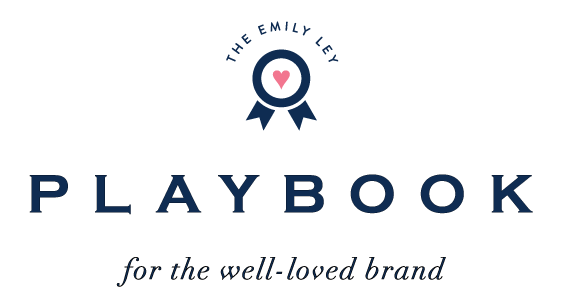 Our search for the perfect paper actually began when Emily started her design career as a wedding invitation designer. Back in 2008, she went through this same process — looking for the highest-quality paper in the world for some of the most important paper pieces in a girl’s life. Using all the money she saved up from Etsy sales, she purchased a big box of Mohawk Via. Since the launch of the Simplified Planner, we’ve made adjustments every year to fill our products with the best paper possible. In 2015, after a year-long search to find the very best paper for the Simplified Planner — scouring swatch book after swatch book, experimenting with different pens, and reviewing test prints — we landed right back at Mohawk Via. Mohawk is a family-owned business that has been dedicated to the fine art of paper making for almost a century, and mills all their high-quality paper in the U.S. Its quality and luxury are surpassed only by the character of the Mohawk company. They supply paper for some of the top paper brands, including Minted, Artifact Uprising, and Moo, and we couldn’t be happier to be working with their incredible team. Emily recently took her son, Brady, to see how the Simplified Planner paper is made at Mohawk’s Albany, New York, mill. While they were able to see the entire process from start to finish in Mohawk’s larger-than-a-football-field factory, Brady particularly loved the part where the pulp “looks like oatmeal” before it’s drained, refined, and dried into paper form. We are so grateful for the team at Mohawk and are so excited to feature the incredible Mohawk Via in all our Simplified Planners. Now, mark your planners! Our 2016-17 Simplified Planners go on sale Wednesday, May 11 at 10am EDT! Includes Academic Daily editions and 17-Month Weekly editions. 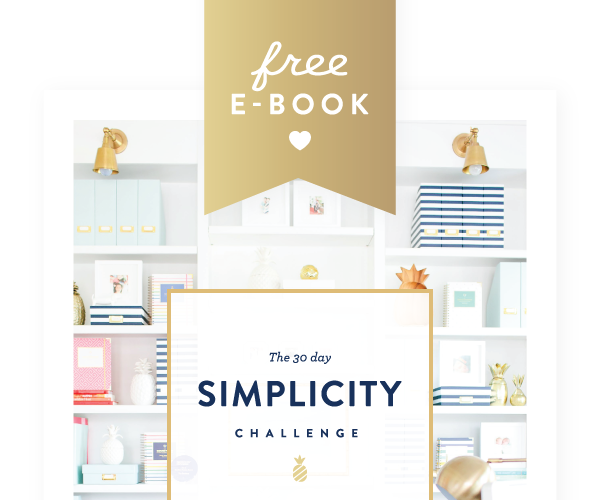 Includes Calendar Year Daily Simplified Planners and the Dapperdesk Planner. 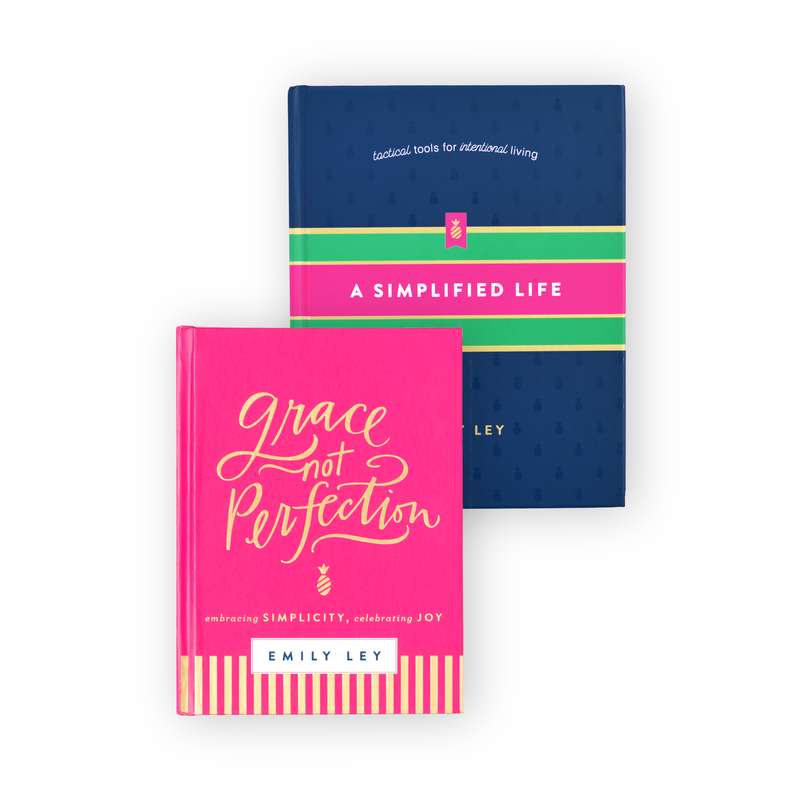 Have questions about the different editions of the Simplified Planner? Search no further! We made this handy chart to detail everything you need to know.